Startup offices aren’t usually hard to find in Koramangla, Bangalore’s bustling startup hub. Funded startups like to announce their arrivals with parties, get-togethers, and large, prominent signs outside their offices. But from the road outside, there’s no indication that behind the glass windows on the first floor of an unobtrusive building, SignEasy has been quietly making a name for itself across the world. The lack of the sign outside its office is very symbolic of how Sunil Patro, SignEasy’s 38 year old founder and CEO, runs his startup. He’s a soft-spoken man who at first glance doesn’t seem to exude the brash bravado that’s so common among founders these days. He’s never raised venture capital, and is more focussed on customer delight than crushing the competition. He hired his first marketer 5 years after he’d founded his company. But a marketing team isn’t a priority when your product is profitable from the get go. 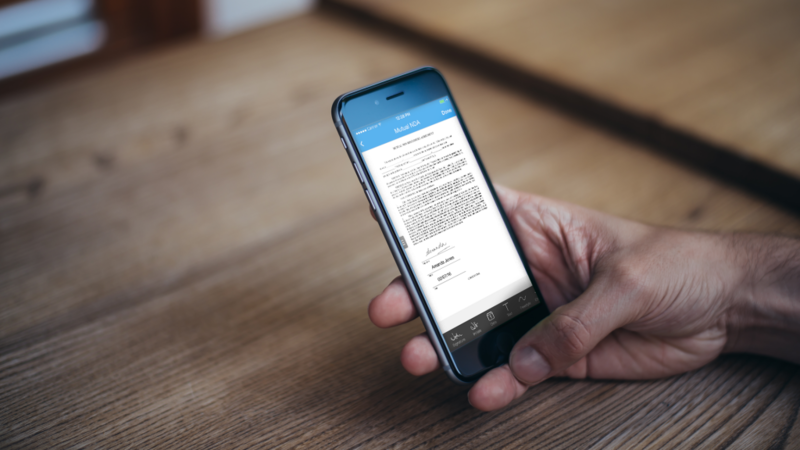 SignEasy was founded in 2009, and its premise is deceptively simple – it lets you sign documents or send them for signature to others, straight from your smartphone, tablet or desktop. This eliminates the trouble of printing, signing and scanning, thereby creating a paperless office and helping in deals getting closed faster, better customer experience and reduced costs. The idea was born when Patro was backpacking in Mexico, and received a job offer which required him to send back a signed copy of the employment contract to his future employer. Printing machines and scanners being in short supply on sun-kissed beaches, he wondered why he couldn’t come up with an app to do the job for him. The timing was right – electronic signatures were increasingly being accepted in the US where he was based, and firms like DocuSign had enterprise solutions that let users sign documents on the web. “But there were no mobile apps for electronic signatures,” he says. “And there were no viable solutions for the one-time user or the small and medium business owners.” He sensed an opportunity. He was still backpacking across South America, so he remotely hired a developer in India to start developing the product. Soon, SignEasy had become a prototype. And soon, SignEasy took off, without large marketing budgets or expensive ad campaigns. 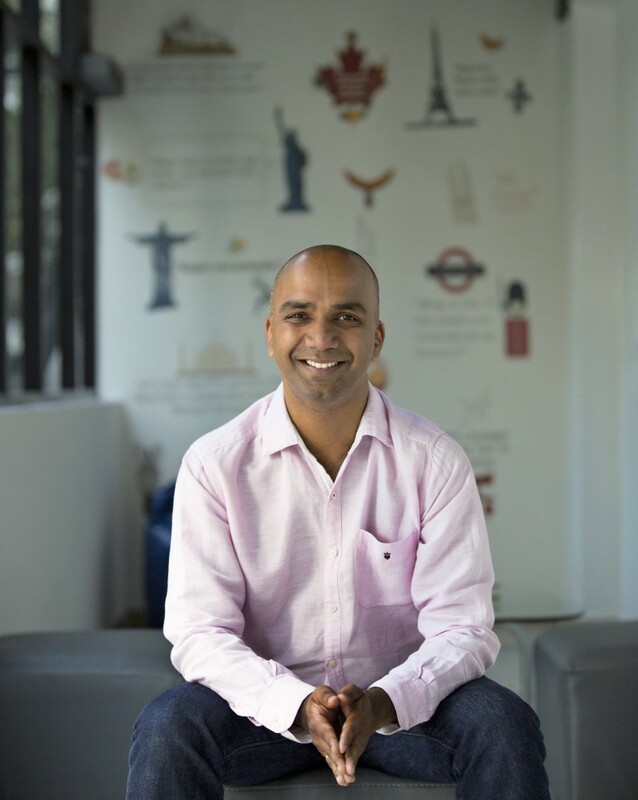 “The growth has been pretty much organic and product-driven,” says Bhupinder Singh, Marketer at SignEasy. It also helped that SignEasy started at the right time – in 2009, the app store wasn’t overflowing with apps as it is now, and SignEasy was soon getting loads of organic downloads. Then it received its first big break – it was featured by Apple in its list of Best Business Apps for 3 consecutive years. Instant international recognition followed, along with a couple of appearances in Apple TV commercials and Apple retail store demos worldwide, the holy grail for iOS developers around the world. You may have also recently spotted SignEasy featured on Google Play among the Best of 2016 apps. SignEasy’s success could be attributed to its product. Patro’s eyes gleam with intensity when he talks about SignEasy and its features. Adding a signature to a document might seem trivial, but a lot of thought has gone into the user flows. There are inbuilt security features like the ‘document edit notification’ to prevent any unauthorised use. Though in SignEasy’s 6 year run time, the company has never faced an issue of product abuse. Apart from simple signatures, the company is looking at covering all use cases, such as signatures required on a set of documents, like in a real world envelope. SignEasy was initially developed for mobile, but now has a web version, and a host of partnerships, including integrations with Outlook, GSuite, and Zoho. Patro is a Cleartrip alumnus, so a certain design aesthetic shines through in the product. And while it might not be a household name in India yet, SignEasy is big. The app has been downloaded over 4 million times and nearly 5% of downloads become paid customers – that translates into 1,30,000 paid customers. Most of these customers are from the US and Canada, starting from freelancers, solopreneurs, small business owners to departments such as HR, sales, legal, accounting in larger organizations. Over 40% of the customers have annual subscriptions with a high affinity for the product. SignEasy boasts of big-name customers such as Xerox, Cintas, Avis Budget, Equinix, Intertrust, Axa Insurance, United Nations and US Data Corporation. Patro is coy about revenue numbers, but says the company is profitable. The company is pumping its profits into developing its product and has now started to strengthen key functions such as sales and marketing in both US and India. Its Koramangala office is now 20 employees strong, and serves customers from 150 countries. It’s cosy and tastefully done up, with a pantry, a TT table, and wall art that shows off the company’s global reach. Customer testimonials from across the world grace this wall. SignEasy might be small, but it’s particular about its work culture. Employees get Macbooks, days off on their birthdays, free meditation and Zumba classes in the office and a monthly personal development allowance to pursue their hobbies or learn new skills outside of their work. These are usually trappings of funded startups, but SignEasy has never needed to raise external funding. “We’re completely bootstrapped, but we’re open to strategic partnerships,” says Patro. SignEasy seems to be playing its cards well. Its competitors, such as Adobe and DocuSign, are huge companies, but SignEasy seems reassured in its steady, customer focused approach. And steady does seem to be a good way to describe SignEasy – it’s profitable, but not glitzy; ambitious, but not reckless. And it’s done what only few Indians companies have done before it – built a successful global SaaS business out of India.